UPDATE: Nov 18, 2011 – Sheriff’s Officials in Livingston County say the bones or remains found in a Conway Township are not of the missing 30-year-old woman. 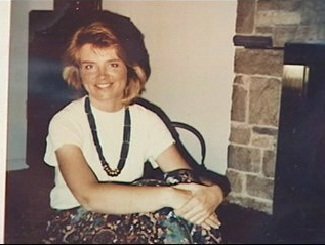 Paige Renkosky from Okemos, Michigan, was last seen driving home from a Detroit Airport when she disappeared in May 1990 from Michigan. She was seen talking to a man outside her car on the westbound Intestate 96 near the Fowleville exit in Lansing. One man, headed east, saw her looking into the windshield of her car when the maroon mini-van pulled up behind her. When the police found her 1986 Oldsmobile Cutlass around 8:00 p.m. that night the engine was running and the headlight were on and her shoes and purse were in the car. Police found several fingerprints on the car, but they have yet to find a match through the law enforcement databases. They also have palm prints, but again, have found no match. Now after receiving an anonymous tip back in 1999, which included a letter and a hand drawn map indicting Renkoski’s remains were buried there. The area had previously been searched with ground-penetrating radar. The Livingston County police searched with cadaver dogs recently and now believe they may have found her burial site in Livingston County Conway Township about 5 miles from Fowlerville, but nothing was found..